Magnetic Resonance Imaging (MRI) is capable of generating a detailed image of any part of the human body. MRI is often used for diagnosis and is an incredibly powerful and versatile tool used in medicine. For example, if someone is having severe back pain, MRI can get a detailed look at the spine to see if there is a problem – a herniated disc or narrowing of the spinal canal are some of the causes of back pain that can be diagnosed by MRI. If someone has a bone or tissue injury, MRI can also identify the injured tendons, ligaments, muscles or bone. In an effort to help you better prepare for your MRI, we have compiled some of the most common questions we receive from patients and put them in the toggles below. If you do not see your question or concern addressed, please feel free to call us at (407) 254.2500. 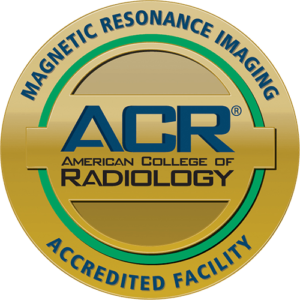 We offer MRIs at our Downtown Orlando and Winter Park offices. For complete directions and more information about each office, please click the links below. MRI is a very safe and painless procedure and there are no harmful effects resulting from an MRI. However, because MRI units produce a large magnetic force, it’s important to remove any metal jewelry and to wear clothing without any metal fasteners; otherwise you may be required to wear a gown. Unfortunately, all MRI scanners produce a humming and thumping noise throughout the scan. You will be offered earplugs to minimize the sound. For your comfort, Orlando Orthopaedic Center MRIs are equipped with a specially-designed sound system, and you’re welcome to bring an iPod or MP3 player for your listening enjoyment. During the scan, it’s important to remain as still as possible to ensure quality images. Because an MRI takes several thinly-sliced pictures (think of a loaf of bread), any movement can blur or compromise the clarity of the images. The scan typically takes no longer than 30 minutes and once complete, the technician will briefly review the images to make certain no additional images are necessary before assisting you off the examination table. The images are then reviewed by a radiologist who is specifically trained to interpret MRI studies and who will send a report to the physician who ordered the MRI. It typically takes 2-3 days for the referring physician to receive the report which he/she will then discuss with you at your next office visit. Please arrive at least 15 minutes prior to your appointment time. This is necessary so that you can complete the required paperwork, remove jewelry and use the restroom before your MRI study. Because there are many other MRI patients after your appointment, you may need to reschedule your appointment if you arrive late. Please confirm your appointment time and location. Orlando Orthopaedic Center has 2 locations with MRI, and your MRI study may not be at the same location as where you were seen by the physician. Due to the magnetic pull created by MRI, you will be asked to remove all jewelry, piercings, hair pins, clips, etc. For this reason, please try to leave these items at home as much as possible. If you are taking medication (such as valium) for your MRI study, please remember that you will need a driver to and from your appointment. Your driver must arrive with you and must stay for your entire appointment. Medication should be taken in advance of your appointment as directed on the medication bottle. Please do not wait until your appointment time to take the medication since your scan will be finished by the time the medication has any effect.